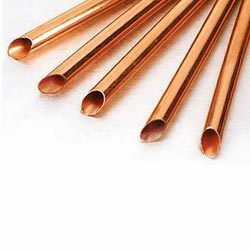 We export copper alloys and our products are available in various types like copper alloy rods, copper alloy stripes and many more. These are made from ace quality of alloy. Grade – Grade: UNS No. C 10100, 10200, 10300, 10800, 12000, 12200, 70600, 71500, UNS No. C 70600 (Cu -Ni- 90/10), C 71500 (Cu -Ni- 70/30).